I am still trying to figure out what to do next on this table top. I wish I had chosen cream or beige instead of white, but that is history now. Fall is here and the fabrics where already on my cutting table from another project... 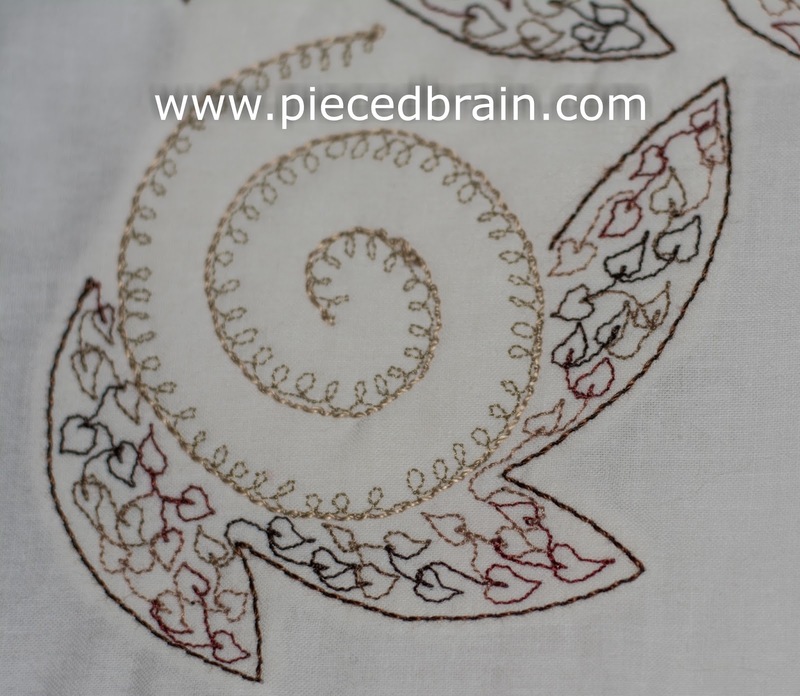 I did not want to work with applique, so I decided to embroider the leafy motif. For each of the white blocks, I marked the swirl and the three leaves, and placed batting on the back. Then, using Aurifil 28wt and Aurifil 50wt for the swirl, I began to free motion embroider. I wasn't in any hurry. With slow music setting the mood, my hands moved in an almost unnoticeable fashion. There was no one in the house, nothing to distract me. I embroidered very very tiny leaves inside each leaf using variegated thread (Sulky). I liked the pattern it made. After I had done all four blocks, I trimmed the batting on the back. Once the top is finished, I am hoping this added batting will give more depth to the swirls and leaves. But... what next? I often create designs from blocks such as these, but the white is stumping me. Ideas, anyone? I will keep this project on the design wall and hope the creative fairies will work at it while I am asleep! For now, have a productive Monday! This is gorgeous. 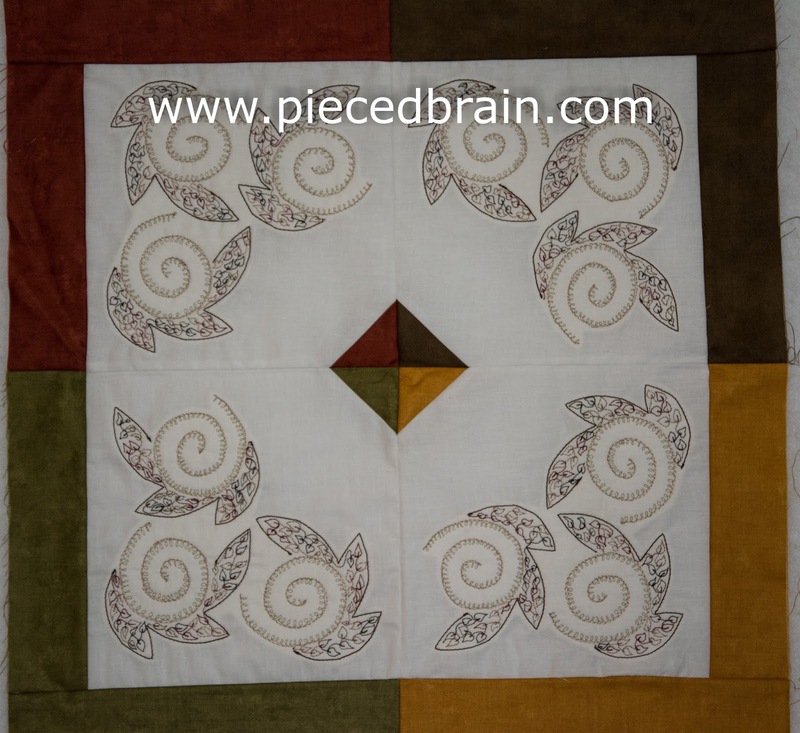 How about echo quilting from the center out. Something will jump out at you. Thanks for sharing.